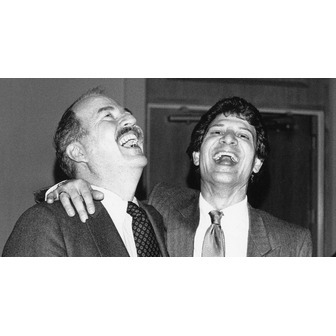 Steve Lombardi and the late Gary Suggs founded the Central Coast's longest-established full-service advertising agency in 1975. In the beginning, SLA specialized in high-concept radio commercials, utilizing our own in-house audio studio for production. In the mid-1970s, with the addition of our Graphic Design Department, we offered print and outdoor advertising to our services. By the 1990's, with the arrival of digital editing software, the agency invested in a nonlinear, TV post-production studio. Today, along with radio, TV, print advertising and web design, we also provide Public Relations, marketing strategy and media buying to our long list of in-house services. Our passion is doing the best work possible for our clients because the best work gets results. Whether creating an engaging radio or TV commercial or designing an effective print ad, billboard or web site, we channel all of our resources, talent and passion into every project. When you are ready to have your story told, rely on S. Lombardi & Associates to tell it. Steve co-founded SLA with the late Gary Suggs in 1975. Over that time, he has been responsible for creating some of the most memorable advertising ventures including the introduction of the first "Triple Drive Thru" campaign for McDonalds. Additionally, he has personally and successfully, managed a broad cross-section of accounts that range from Congressional Campaigns to TV networks. In 2005, he established SLA as the only agency in the nation retained by the Culligan Corporation to manage local co-ops. Steve has also earned the nickname "Sonny Pro Bono" for all of the agency's work with non-profit organizations.